Play Fruit Magic online for free now! 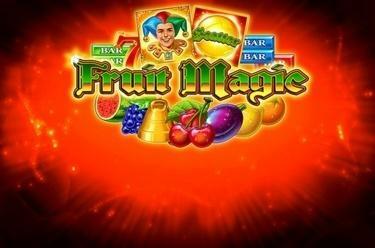 The slot Fruit Magic serves up five reels with ten win lines, hot fruit action and a stunning progressive jackpot. The Joker and the Scatter land you the highest winnings. The aim of Fruit Magic is to line up five matching winning symbols on one of the win lines running from left to right across the reel set. The Jolly in Fruit Magic is one sly old dog. Not only can he substitute for symbols in a potential winning combination and double the winnings if he’s part of the right combo, but he also pays out a jackpot if he appears five times along a line. The Scatter (the Ball) activates 20 free games if it appears on the reels in any position three, four or five times. Every win during the 20 free games is doubled. Moreover, if you get three, four or five further Scatters, you’ll trigger even more free games. Get five Jollys on a line and you’ll have reason to celebrate: If you went all in and played for the maximum stake possible, the whole jackpot will be yours. If you played for lower stakes, you’ll bag a corresponding share of the jackpot. Less is certainly more when it comes to Fruit Magic! 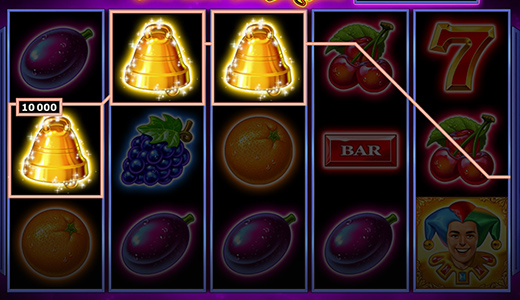 This classic fruit slot can forgo bombastic graphics, because it serves up stunning chances to win big. The cheeky joker acts as a Wild symbol to double all wins if he’s part of the right symbol combo. And you can also clean up with doubled winnings in the free games. What’s more, if you line up 5 Jollys in Fruit Magic, you’ll land a jackpot!